Please join us this Thursday at 10 am for our Thanksgiving service. This time will include opportunities for individuals to give brief testimonies about how they’ve experienced God’s goodness this past year. 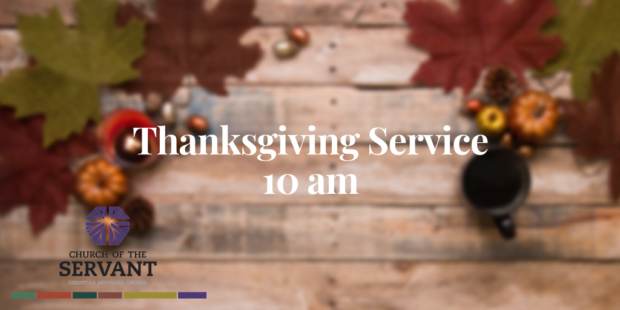 At our service on Thanksgiving Day, we also have the opportunity to rejoice and give gratefully in response to God’s love lavishly poured on us throughout the year. Combined with worship and testimony the Thanksgiving special offering is our opportunity to share with others by giving with praise-filled hearts. The offering will support our friends at Coit Community Church & Celebration Fellowship as they respond to God’s call alongside us. Give joyfully and know that you are deeply loved and cherished as children of God!